While I started reading at three (my mother was a big reader), the book I first remember being really excited about was in second grade. My teacher, Dr. 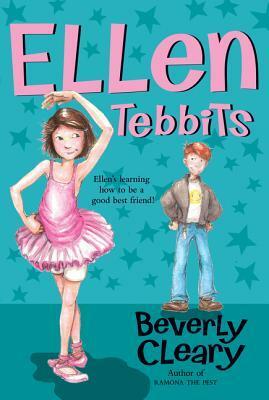 Gross, handed me a copy of Ellen Tebbits by Beverly Cleary, saying, “I think you’re ready for this.” I had no idea what that meant, but I knew it was special. Ellen Tebbits was published in 1951, so it was already quite dated when I read it. For example, Ellen’s mother sewed her beautiful dresses to wear to school. Also, quite a bit was made of the fact that her friend, Austine’s mother wasn’t as good a seamstress. But that was part of what made it interesting to me, because it was more about my mother’s childhood. It existed in a time and place where someone might grow beets in their backyard. This didn’t happen in suburban New York. While I wouldn’t call the book part of a series, it was part of the larger Beverly Cleary universe which included the characters of Otis Spofford, Ramona and Beezus Quimby, and Henry Huggins. I read all her books, then moved on to others. Being a reader was a huge part of my identity as a kid. I always knew I’d someday write a book myself. While my own books aren’t very similar to Cleary’s, I think one thing I got from her is that the characters in my books generally inhabit a larger universe of their school with interesting secondary characters. While I like books where characters are whisked off to a different world, for the most part I write about ordinary worlds that become interesting or extraordinary. The world is normal, and then everything changes. Alex Flinn started writing Breathing Underwater in college. Her latest novel, Mirrored, came out in September 2015. She currently lives in Miami with her husband and two daughters. She writes all of her novels longhand first. 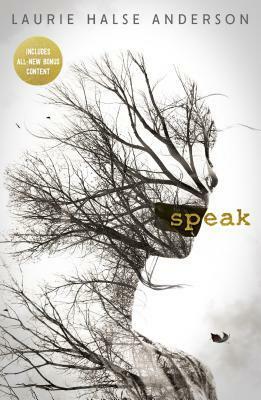 She is also author of YA novels Cloaked and Beastly (now a major motion picture).